The objective was to evaluate removal efficacy of agrichemicals from water using a small-scale granular activated carbon (GAC) system. The GAC system consisted of a series of three 1.9- to 4.1-L filter canisters filled with 8 × 30 US mesh (595 to 2380 μm) bituminous coal GAC. In experiment 1, 11 agrichemicals (acephate, bifenthrin, chlorpyrifos, flurprimidol, glyphosate, hydrogen peroxide + peracetic acid, imidacloprid, paclobutrazol, didecyldimethylammonium chloride (DDAC), triclopyr, and uniconazole) used in greenhouse and nursery production were exposed to 0, 12, or 64 s of GAC contact time. Chemical concentrations were prepared at a 1:10 dilution of a recommended label rate for ornamental crops to represent a possible residual concentration found in recaptured irrigation or surface water. In experiment 2, three other chemicals [iron ethylene diamine-N,N′-bis(hydroxy phenyl acetic acid) (iron-EDDHA, a chelated iron fertilizer), soracid blue dye (a fertilizer dye), and sodium hypochlorite (a sanitizing agent)] were also tested with 0, 12, 38, or 64 s of GAC contact time. Agrichemical concentration was reduced with 12 s of GAC contact time compared with the 0 s for all chemicals tested, and in most cases was further increased at 64-s contact time. Chemicals reduced below their minimum detection limits with 64 s GAC included acephate, flurprimidol, paclobutrazol, uniconazole, peracetic acid, DDAC, and chlorine (free and total). Percent reduction for other chemicals with 64 s GAC was 72.2% for bifenthrin, 89% chlorphyrifos, 85.3% imidacloprid, 99% glyphosate, 99.4% triclopyr, 99.3% hydrogen peroxide, 47.6% iron-EDDHA, and 94.6% soracid blue dye. Iron-EDDHA and soracid blue dye could be used as indicator chemicals for onsite monitoring of GAC filter efficacy. Results indicate that GAC filtration can remove a wide range of agrichemical contaminants commonly used in greenhouse and nursery production, although the required contact time in commercial production is expected to be greater than in this research study. Thanks also to biostatistician, James Colee for providing statistical advice and the Waters Agricultural Laboratories (Camilla, GA) for their chemical analysis services. This research was supported by the FNGLA Endowed Research Fund, USDA-ARS Floriculture and Nursery Research Initiative award 58-3607-8-725, the National Institute of Food and Agriculture-USDA award 2014-51181-22372, the Gene and Barbara Batson Endowed Nursery Fund, and industry partners of the Floriculture Research Alliance (floriculturealliance.org). Bourgeois, A., Klinkhamer, E., & Price, J. (2012). Pesticide removal from water. Worchester Polytechnic Institute, Worchester, BS Thesis. http://web.wpi.edu/Pubs/ETD/. Copes, W.E., Chastangner, G.A., & Hummel, R.L. (2003). 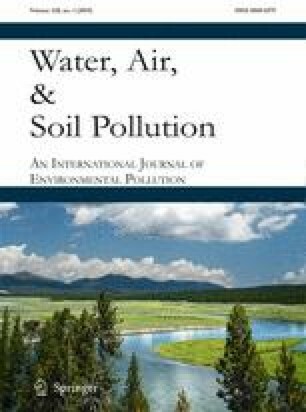 Toxicity responses of herbaceous and woody ornamental plants to chlorine and hydrogen peroxide. Plant Management Network, St. Paul, MN. https://www.plantmanagementnetwork.org/pub/php/research/2003/disinfect/.